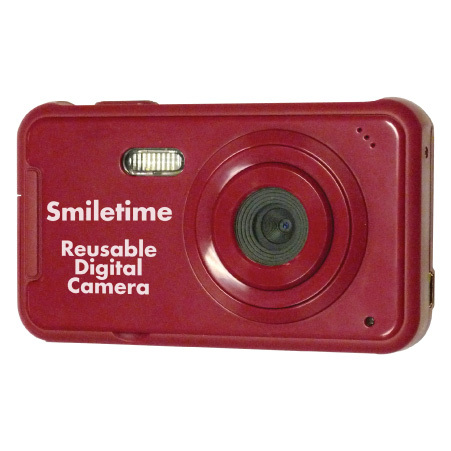 This Reusable Digital Camera is easy to use and downloads to any computer! 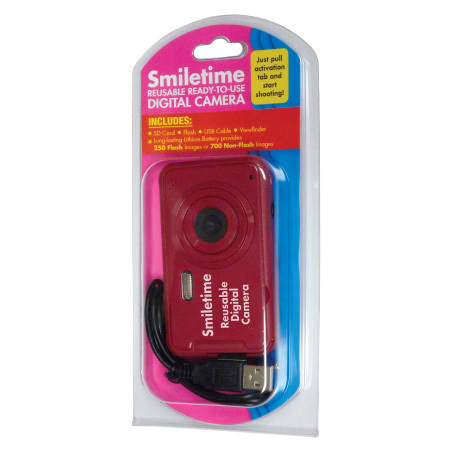 A mini-USB cable is included; no software is required. 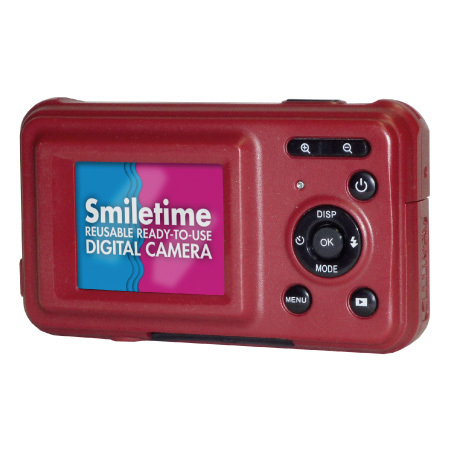 This camera can be used as a low cost option to your expensive camera or mobile device and offers a great overall value when compared to the extra cost of film processing and prints. Connect mini-USB to computer and camera port. Drag and drop images from camera to computer. Lithium batteries may last up to 4 years, depending on use. After battery power loss, camera will no longer take images, but existing images will be retained on the SD Card at bottom of camera.